Would you like to renew and rejuvenate your life each day? 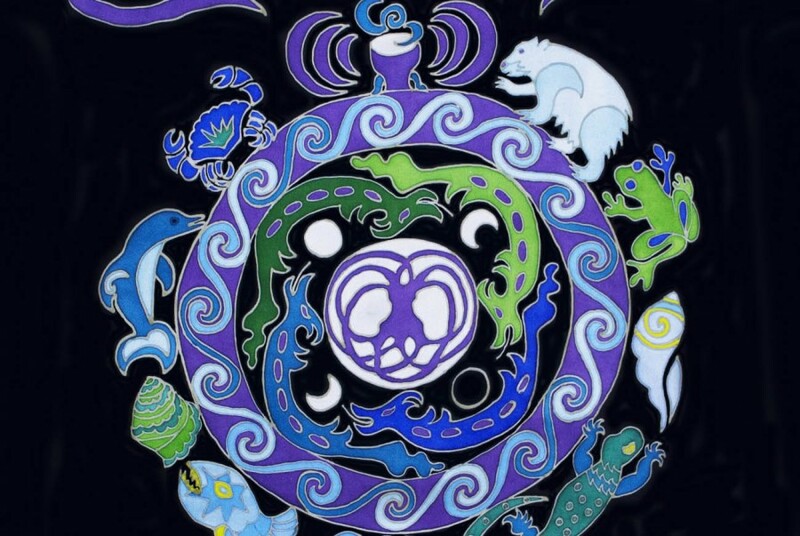 The image above is of the Great Wheel of Life-Death-Rebirth depicted on Megan’s second Sacred Robe. This image depicts the spiritual quality of Renewal, and helps you move through the cycles of life so you feel refreshed and renewed. Rather than circling and repeating the same problems over and over, with no renewal, you are meant to move through challenges and evolve and come out the other side replenished. Renewal is essential for a healthy body, mind, soul and spirit. Renewal replenishes your whole being by relinquishing that which no longer works. When you let something go, you move through the death part of the cycle so you can get to the rebirth. You are meant to move in a rhythm of renewal every day of your life. Every day you get another chance to let go, evolve, get back on track, start over, realign, rebalance and return to yourself. Jump into the dance of life and flow around the Great Wheel of Life-Death-Rebirth. Always returning to a more conscious version of yourself!